Is there any better holiday pastime than watching Christmas movies leading up to the big day? I LOVE Christmas movies!! Sure, they are cheesy and often unrealistic, but they are also so utterly feel-good and wonderful (and let’s face it—we all love the cheesy lines and predictable plots). I love happy endings, and Christmas movies are always guaranteed to deliver on the happy ending. 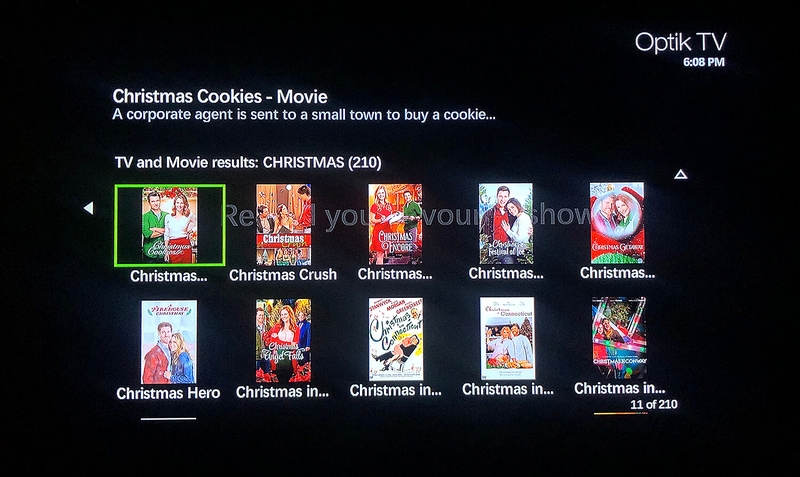 Netflix has pretty good Christmas movies (the popular one for 2018 is a The Princess Switch), but did you know TELUS Optik TV offers over 200 Christmas movies you can watch live or record, and a bunch more you can watch and buy On Demand? So many Christmas movie options on TELUS Optik TV!!! If you love Christmas movies, TELUS Optik TV is a holiday dream come true! I was already getting my Christmas movie marathon on when I thought, I should blog some of my favourites! As a #TeamTELUS ambassador, it made even more sense to highlight the options available on TELUS Optik TV. 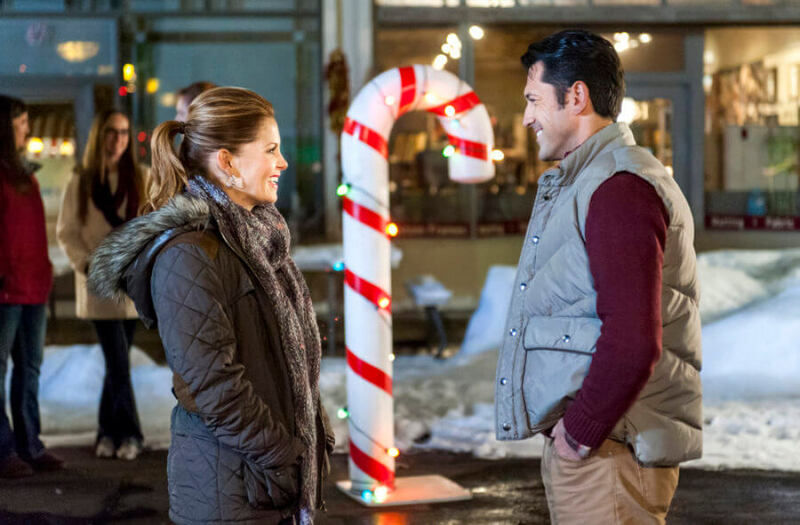 This year the W Network / Hallmark Channel premiered 22 ALL NEW original Christmas movies!! The year before they produced 33!! You could literally watch a Christmas movie every day from November through to Christmas! Note: I am a #TeamTELUS Ambassador and this is a sponsored post highlighting some of my favourite Christmas movies I’m watching this season on TELUS Optik! Pin + share my blog post: 7 Christmas movies to watch on TELUS Optik TV! Christmas Under Wraps. Photo Credit: The Hallmark Channel. This movie is about a doctor who is used to planning out her entire life and things often going her way. But there’s a great lesson here about what to do when things in life don’t go as planned! You should be open to trying something new and unexpected. And for the main character Dr. Lauren Brunell, that new and unexpected decision was taking a residency in the tiny town of Garland in Alaska. One of my favourite things about Christmas movies is when towns or people’s names are named after Christmas words. Garland… Christmas garland!!! Hehe. There’s a lovely ‘secret’ in the town of Garland too. The lead character grows as a person. The love interest is super likeable. There’s even a reindeer. I really enjoyed Christmas Under Wraps! Miss Christmas. Photo Credit: The Hallmark Channel. Holly (like Christmas holly, lol), is nicknamed “Miss Christmas” because it’s her job to find the perfect Christmas tree for the Radcliffe Centre in Chicago. She receives a letter from a boy in a small town, promising of the perfect tree for this year’s lighting ceremony, and so off she goes to get the perfect tree. It’s a great story, and really quite a classic Christmas plot of girl goes to small town and falls for tree farm dude, lol. I liked how this movie started off immediately super festive and Christmassy. Sometimes you start a holiday movie and it takes awhile for the Christmas music to start playing, or decorations to start appearing. You get right into the Christmas spirit with Miss Christmas! I loved it. Charming Christmas. Photo Credit: The Hallmark Channel. This is a fun Christmas movie because it actually features three different stories. The main story revolves around Meredith Rossman, who starts off not the most likeable, as the uptight heiress of a small town department store who doesn’t have much time for Christmas. Fortunately she meets a guy named Nick (maybe like Old Saint Nick??? ;)) who also happens to be Rory’s dad from Gilmore Girls lol, and brings out the Christmas spirit in Meredith. This is another one of those movies where they allude to a character being part of Santa’s family (or Santa himself), which is like a fun little Christmas secret you’re aware of the whole time you’re watching, waiting for it to be revealed to the main character. This movie was really relatable for me because the main characters work at an ad agency (and so do I!) They’re also trying to win a client by pitching an idea for a video commercial that can sell a cell phone, while touching heartstrings, and going ‘viral’ lol. Main character Melanie is super sweet, and has to work with a co-worker Donovan who just doesn’t have a lot of time for any Christmas shenanigans. There’s an element of surprise and mystery in his movie that I really liked, and there’s kind of an online dating / email chat style format to the story too. Finally, there’s a story about family in here that I really like too. It’s really nice! The Nine Lives of Christmas. 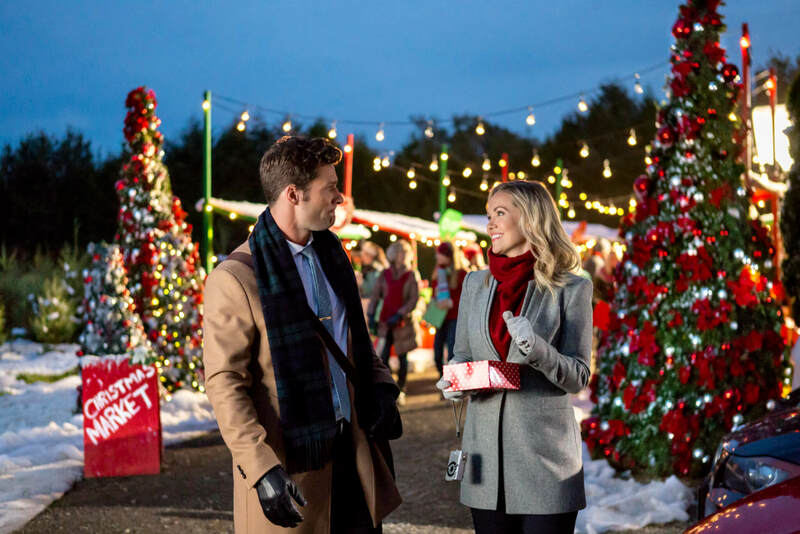 Photo Credit: Hallmark Channel. I knew I’d love this movie because it’s cat-themed (couldn’t you tell by the movie title?) 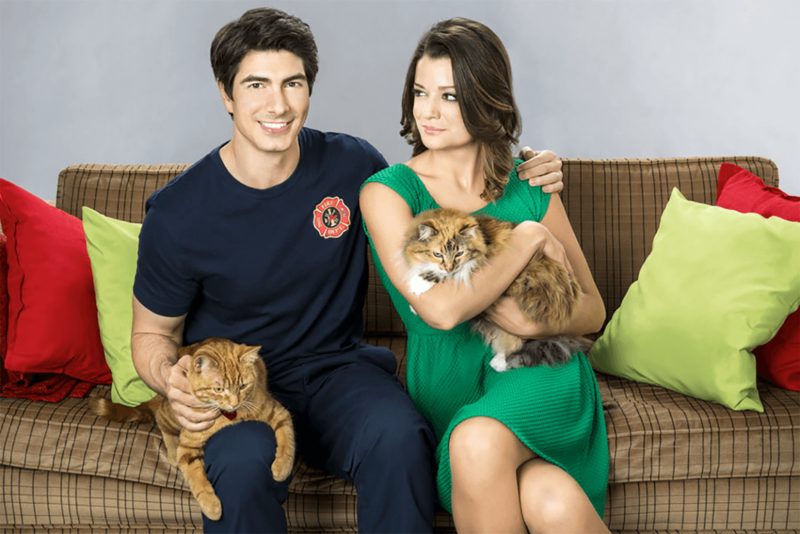 Former Superman Brandon Routh plays Zachary Stone, a fireman who isn’t really interested in a long-term commitment—love or pets. But then he meets a lovely stray cat named Ambrose. And then a lovely animal lover named Marilee. Who has a cat named Queenie. There are cute cat moments throughout, and a great lesson about how mountain lions profess their love. Definitely a must-watch for Christmas and cat lovers. And a bit different from the other Christmas movies because there’s a male lead! A Bride for Christmas. Photo Credit: The Hallmark Channel. This movie is a bit—okay, really—unrealistic. And yet, it was totally entertaining and something I really enjoyed watching. The main character Jessie has called off THREE engagements, and meets a charming guy named Aiden who bet his friend he could convince a woman to marry him in just a few weeks (just in time for Christmas). There’s some funny scenes here, and there’s a dog angle that’s really sweet. But the plot itself seemed very rushed. I mean, most romances in Christmas movies blossom in just days or weeks, but this one just felt even more rushed given the character’s previous three engagements lol. So, super unrealistic (moreso than usual for a Christmas movie), but still a lot of fun to watch. Crown for Christmas. Photo Credit: The Hallmark Channel. There’s just something about Christmas movies with a royal plot! I loved Crown for Christmas—featuring a really sweet woman named Allie who got fired from her job as a maid in a ritzy New York City hotel, only to get offered a temporary job as governess to a princess in Europe. Because of course that would happen lol. And of course she’s going to fall for the princess’ widower father! And of course he’s going to fall for her! But what happens when the King has to choose between his duty to his country or his duty to his heart? If you’re anything like me, you’re on team Heart. This is a really lovely, royal Christmas movie! But movies aren’t the only festive feature you can watch on Optik TV. This season, you can also turn on the Optik TV Holiday Fireplace on Channel 10, get Free Festive Specials on Channel 11, use the Santa Tracker (coming soon! ), and listen to Stingray Free Holiday Music on Channel 14. If you hit the On Demand button on your Optik TV remote, you’ll find the ‘Happy Holidays’ folder with even more festive movie categories! I’d love to hear what Christmas movies you’re watching this season! And whether you liked the ones I’ve pointed out. Leave a comment here on on my social media to let me know!! Disclaimer: This blog was posted as part of my #TeamTELUS brand ambassador partnership. I’m a proud member of #TeamTELUS! This has no impact on opinions stated in this post. I seriously love Christmas movies and am overjoyed to have so many options on TELUS Optik. I have watched all but one from your list (so far) and then many many more. I still have a good dozen or two on PVR still to watch as well. I loved all of these you listed that I’d seen, but I’d also add A Veterans Christmas – super sweet with the dog plot – and loved the concept of Journey Back to Christmas. Hipe at Christmas and the Mistletoe promise also good choices. 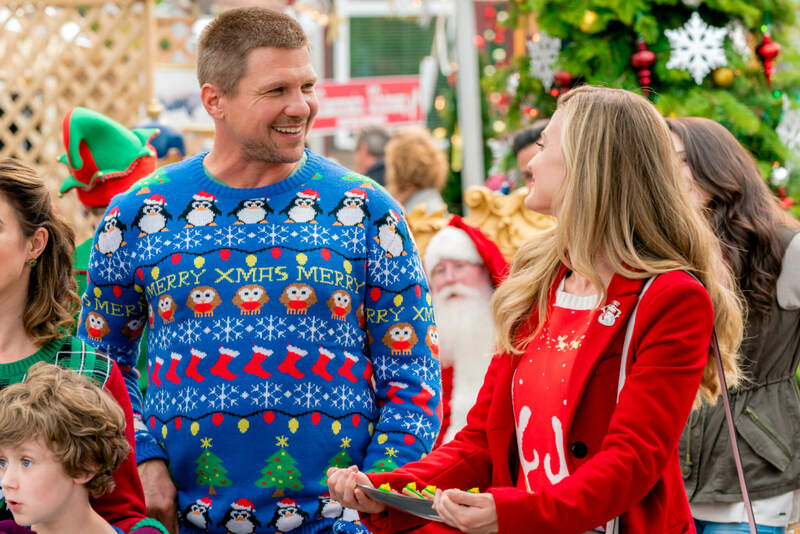 What date and hour and channel does the movie ‘Charming Christmas’ is shown on telus tv? I can’t find any of these on demand? You have to be subscribed to the W Network and then record them when they play? Am I missing something? Hey Samantha! These ones are for TELUS Optik TV if you have the W Network. I hit record and then it adds them to my PVR so I can watch it whenever! There are more Christmas movies On Demand but these ones are the ones that are playing on TV!